ArcGlobe is more rigorous in handling projections - in ArcMap or 3D Analysts' ArcScene, even Spatial Analyst's Model Builder, not fully specified projections may give an error message but will still post - not so in ArcGlobe, which in turn allows it to be posted in ArcGIS Explorer Desktop. The z-aware oil well shape files shows the shallow, medium and deep colour-coding. 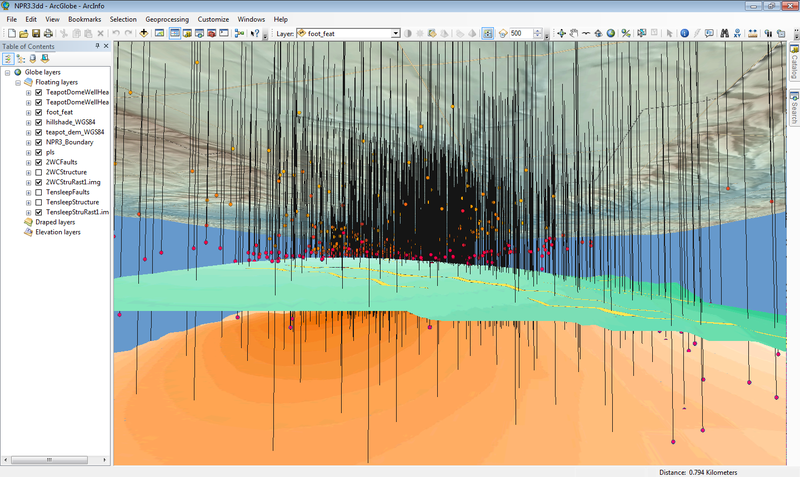 The swipe tool also allows to show the top 2WCS and bottom Tensleep target geological formations. The reservoir model is far more detailed and is an opaque surface at that scale, but zooming in allows to see the detailed simple flow model discussed in the previous post. 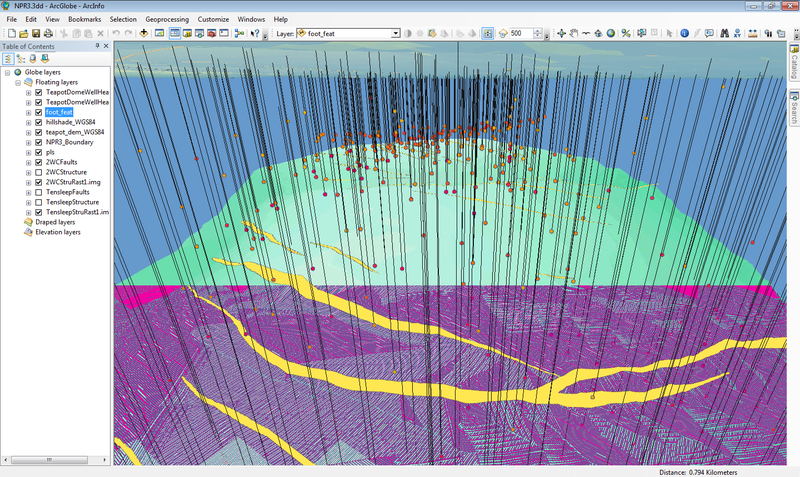 You can set Uncheck "Surface Avoidance" in the ArcGIS Explorer options for Flight Characteristics. This will allow you to navigate "under ground". Thanks for the feedback, as I said this is not to replace G&G but to extend GIS - for example modelling is easier here for first cut , say, for screening plays.